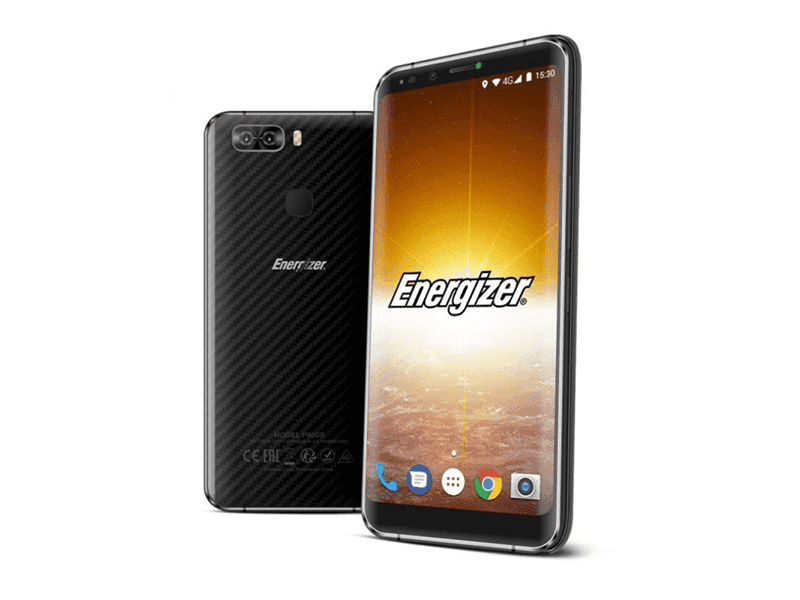 Energizer Power Max P600S with 18:9 screen, dual-camera, 4500mAh battery announced - AndroGuider | One Stop For The Techy You! Famous battery brand Energizer has a new smartphone featuring a full screen 18:9 display, dual-cameras and a massive battery. Dubbed Energizer Power Max P600S, it features 5.99-inch Full HD+ display with minimal bezels on sides, giving it a modern look. As the name suggests the phone's main highlight is its battery. It is fueled by a beefy 4500mAh battery, which promises up to 12 hours of usage time and up to 16 days of standby time. It supports fast charging via USB Type-C port. At the back, it has 13MP + 5MP Samsung dual camera setup, and on the front it rocks a 8MP selfie shooter. The Power Max P6000S is powered with MediaTek's 2.5GHz octa-core Helio P25 processor and comes in two variants: 3GB RAM + 32GB storage + Black color and 6GB RAM + 64GB storage + Blue color. Both variants support microSD card. It runs Android Nougat out of the box and also includes 4G LTE support and fingerprint scanner. The Energizer Power Max P6000S will be available in mid-January 2018. Pricing is yet to be revealed.